More than 1.3 billion users globally rely on Cyren’s 100% cloud internet security solutions to protect them against cyber attacks and data loss. A 100% cloud-delivered service, Cyren Web Security provides a quick-to-deploy, easy-to-manage SaaS secure web gateway for business. 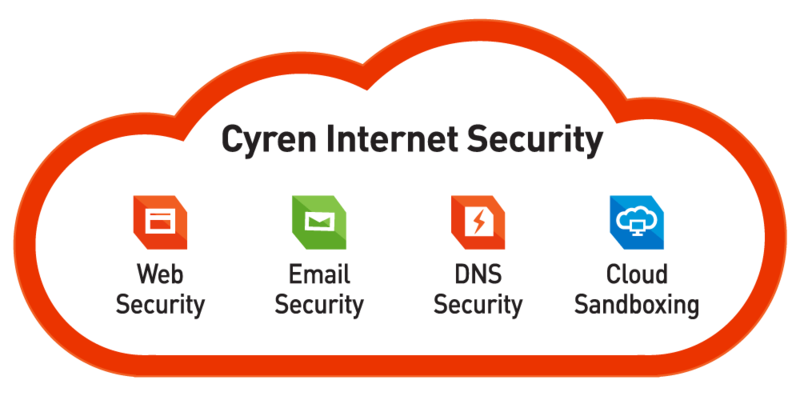 Cyren DNS Security is an automated, location-based service for managing and protecting web usage. A cloud-based secure email gateway that filters your organization’s inbound and outbound email to protect users from cyber threats and spam. Archiving simplifies regulatory compliance with email management, protection and retention in the cloud.